Happy hump day ya'll! Hope everyone had a fabulous long weekend and is getting back into the swing of things for a short week! Jenn and I are coming together again for another Wednesday What's Hap-pinning link up and we hope you join in as well - jut grab the button below and post about whatever is going on in your neck of the woods currently. 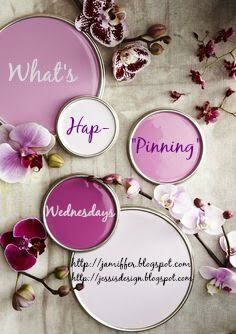 That could be your favorite pins, new recipe you tried, a DIY...the ideas and inspiration = endless! 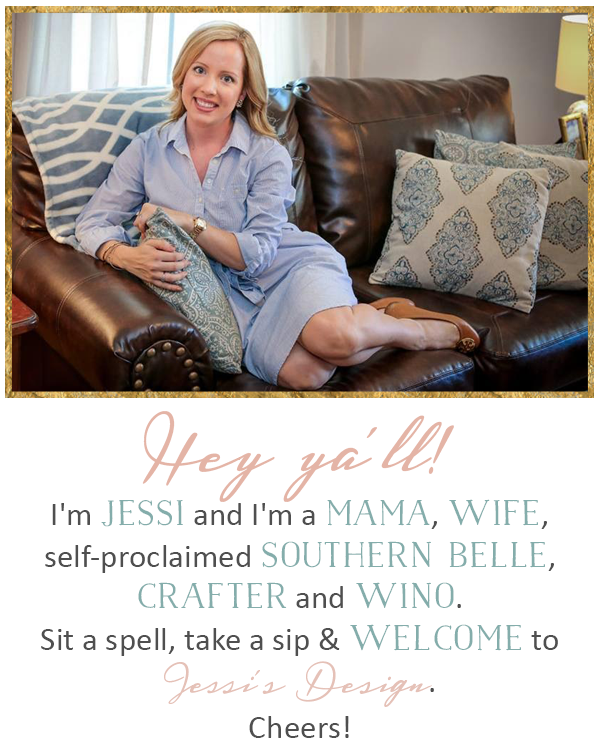 I've been on a pinning kick of fun and easy new recipes to try. 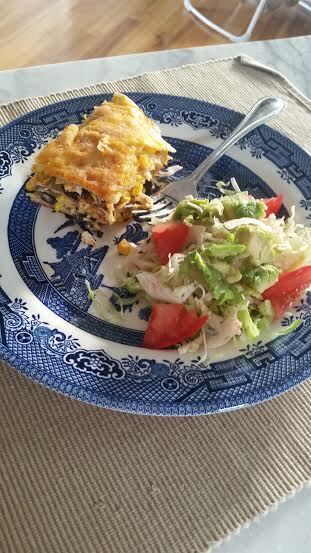 I came across this chicken enchilada casserole and just had to try it. I mean, I'm obsessed with Mexican on any given day but to throw it into something with the label of casserole? I was hooked! This was super easy and fun to make and turned out surprisingly colorful and pretty to serve! Below is the recipe step-by-step and then some quick snap-shots before we devoured the entire thing. Pour about 3/4 cup enchilada sauce in the baking dish, and spread until the bottom of the dish is coated. Top with a layer of about 8 tortilla halves so that the entire dish is covered. Sprinkle evenly with about 1 cup black beans, 1/2 cup corn and a fourth of the green onions. Then sprinkle with a heaping cup of the chicken, and about 3/4 cup shredded cheese. 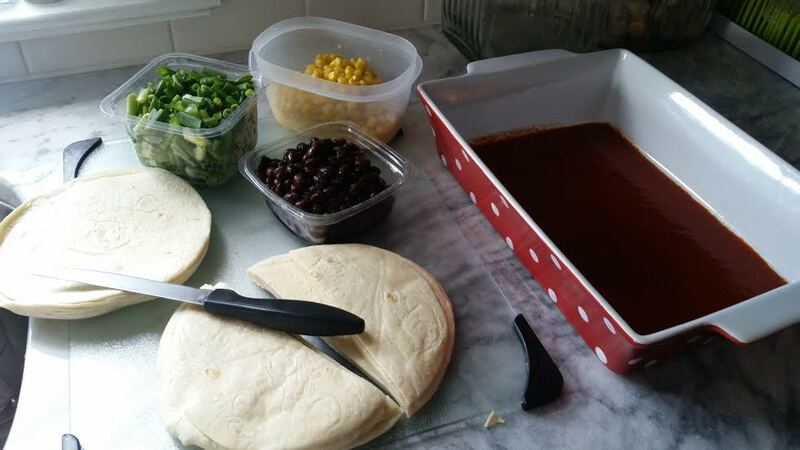 Repeat with a second layer of tortillas, then sauce, then beans, corn, green onions, chicken, and cheese. 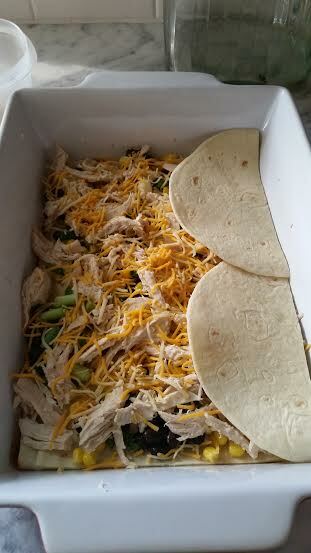 Then a final layer of tortillas, sauce, beans, corn, green onions, chicken and cheese. Then conclude with a final layer of tortillas and sauce (reserving about 3/4 cup of cheese to add partway through baking). Cover the pan with aluminum foil, then bake for 20 minutes. Mmm I love Mexican and this looks delicious!! You had me sold at Mexican! This looks amazing! I love an easy, weeknight Mexican meal...this looks so tasty! Yum! Nothing better than Mexican food! Yum, that looks super delicious! Love Mexican! Yum! I will need to try this recipe! Anything easy (and good) is right up my alley! This sounds divine! I've been on a new meal kick, so I'll be adding this to my list of meals to try! oh my word, this looks so yum! i have never made (or eaten) enchiladas but this looks super easy and perfect for the upcoming colder weather! Girl, I totally agree with being able to eat mexican any day. The worst is queso cause I could literally add it to anything but my pants size doesn't agree hah! I love Mexican food one of my favourite cuisines. Can't wait to make this for for my weekly Mexican nights! Yummm!! This looks delicious! Serious comfort food! Seriously why is this not on my meal plan this week?! haha obviously need to add it to next weeks! 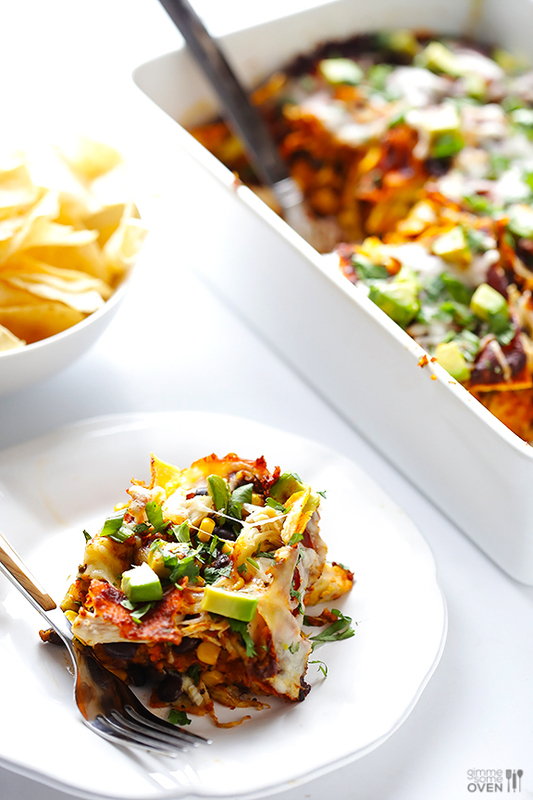 I love enchiladas so much and these look soooo good! YUM! My husband and I would both love this!! Definitely trying it soon! This sounds/looks so good! I'll have to remember to try it out soon! Oh this looks so yummy!! !